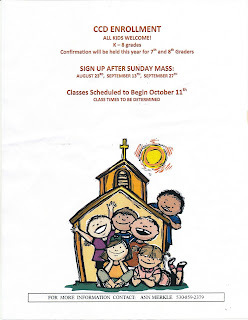 CCD Classes are relatively scheduled to begin again in October. 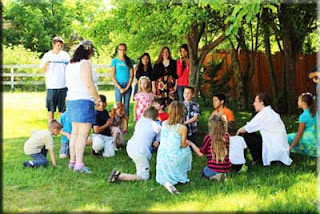 If you are interested in teaching or volunteering in the CCD Classes for 2015/2016 year, please contact Ann Merkle at (530)859-3279. Registration for CCD classes will begin in August and run through September. 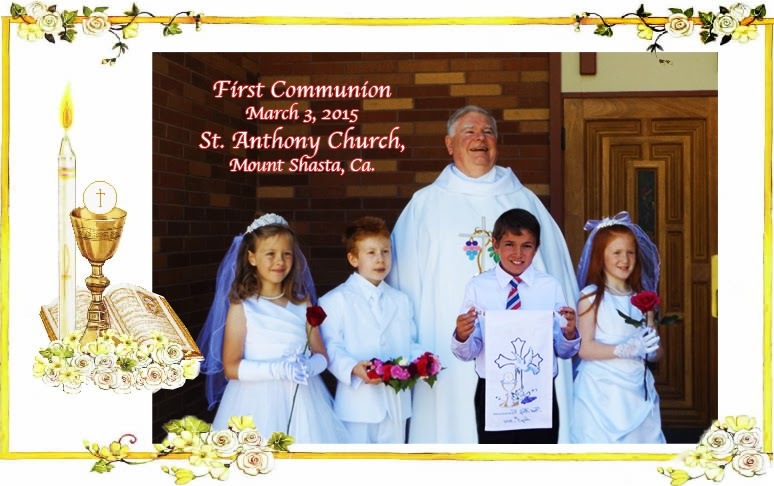 They received their First Holy Communion on Sunday, May 5, 2015. Our parish is blessed to have our young children so mindful of their faith. Let's keep them in our prayers. Also a big thank you to our older children and young adults who brought flowers in honor of our Blessed Mother Mary. Our church was filled with love of the Lord! A special thank you also goes to Our Altar Society for the beautiful cake and special decorations to honor our children. The teachers and children felt honored by all your thoughtfulness. 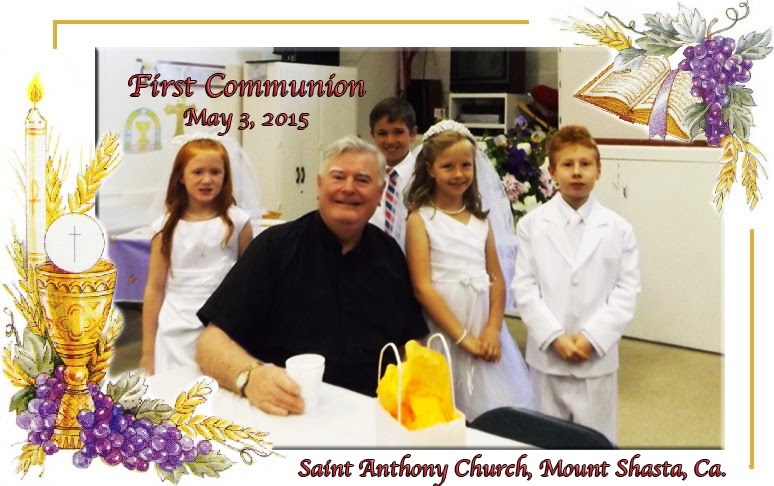 First Communion and the Crowning of the Blessed Mother was be held last Sunday, May 3, at the 9 am Mass. 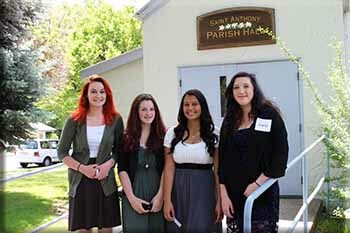 In preparation for the First Holy Communion Ceremony and the Crowning of the Blessed Mother, the CCD students as well as all children of the parish were invited to participate. They had a practice session last Sat., April 25th at 2 pm. First Confessions ( The Sacrament of Reconciliation) were held last Sat. , April 25th at 3 pm at the Church. 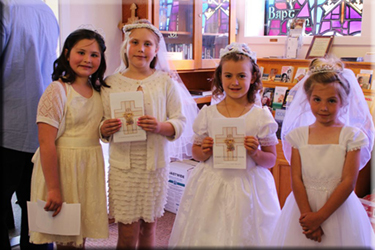 All Communion children were required to take their first Confession prior to First Holy Communion. At least one parent was required to be present. Parents and families took confessions right after the children. Lavada Erickson, the CCD Coordinator, would like to thank everyone for their time and assistance with Communion Preparation. She extends appreciation and God's blessings to all those involved.